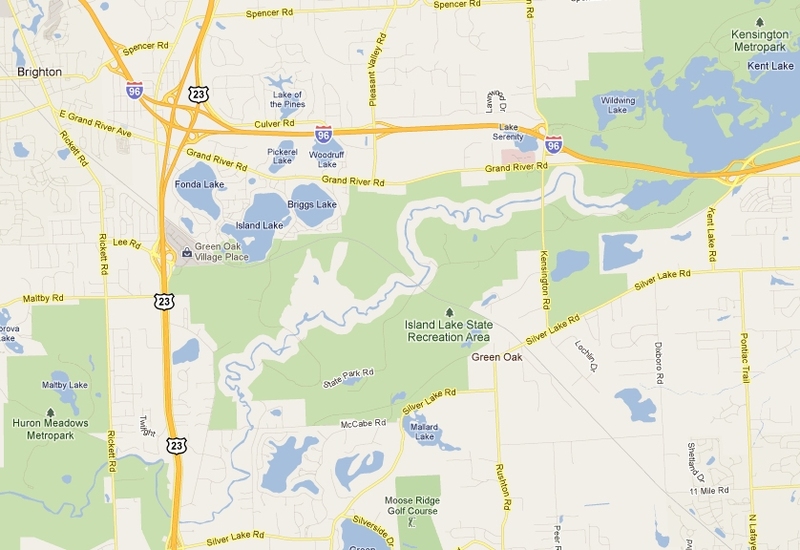 Island Lakes is a very large 4,000 acre state park that lies on the Huron River just south and downstream from Kensington. Starting Northeast and heading Southwest, Proud Lake Park, Kensginton Park and Island Lake Park all pretty much connect to one other by both bike trails and the river making this a huge chain of all large state and metro parks. And even after Island Lake, if you continue Southeast, you immediately run into Huron Meadows Metro Park followed by Brighton State Recreation Area, Picckney State Receration area, and finally Waterlook State Recreation Area as you apprach the city of Jackson area. There are two main mountain bike trails. 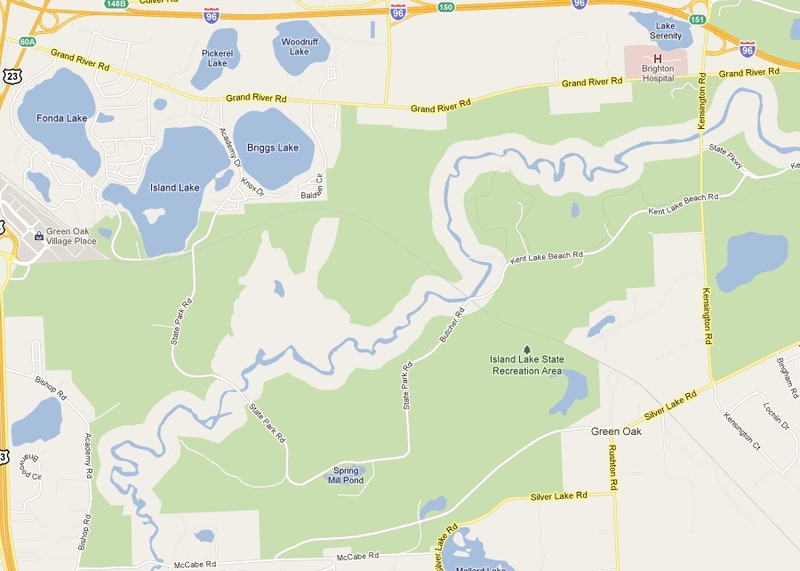 The East/yellow look which is 5 miles long and the West/blue loop which is 9 miles long. The paved bike trail is 4 miles long. In the winter, the two mountain bike trails can be snowmobiled and the paved trail and can be cross-country skiied. Canoe livery with pickup service for 1.5, 2.5, 3.5, 4.5 and 5.5 hour trips down the Huron River from Proud Lake State Recreation Area, Kensington Metro Park and finally through Island Lake Recreation Area.